Billy Rafferty is the owner and principal stylist at Doggy Dooz. He has over 25 years experience as an award-winning pet stylist and sanctioned grooming show judge. Billy has dedicated his life to making grooming a fun, positive experience for dogs. He believes that grooming is more than just a show-stopping haircut. It’s about getting dogs spotlessly clean with a gentle touch and lots of love and praise. Billy is Chicago’s only Master Pet Stylist (MPS), certified through the Int’l Society of Canine Cosmetologists, Dermatech Specialist (DTS), Certified Master Groomer (CMG), Companion Animal Hygienist (CAH), designated by United Show Managers Alliance as a Sanctioned Grooming Show Judge and the recipient of numerous awards at national and state grooming competitions. Billy is the preferred pet stylist for many celebrities, including Oprah Winfrey, celebrity chef Art Smith, and actress Joan Cusack. 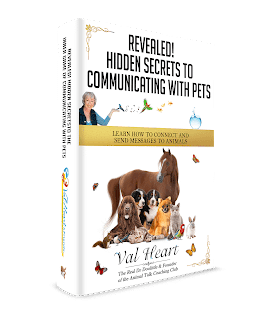 Billy is a highly regarded speaker, lecturer and author of a wonderful book named “Happy Dog” caring for your dogs body, mind and spirit which was featured on Oprah.com. * How to choose a professional groomer. * Why grooming your dog is incredibly important, and what benefits you and your dog will experience. * Why it’s better to hire a professional groomer vs. trying to do it yourself at home. * Why you should never hire a groomer who is not certified or licensed. * Questions that you should ALWAYS ask before hiring a new groomer. * How to get your dog over a nail trimming phobia. * Interesting facts such as whether cage drying is safe, how often to bathe your dog at home, appropriate age to begin bathing a puppy, what type of shampoo to use, type of dogs that do and do not need haircuts…. * How Billy’s book got featured on Oprah. For more information about Billy Rafferty and Doggy Dooz Pet Styling please visit http://www.billyrafferty.com.